At IsoAid we see our clients as partners and do whatever we can to help you have a very efficient and successful Brachytherapy program. Our highly experienced territory managers - each with a minimum of eight years of experience in Brachytherapy - are here to help you with every aspect of your program. Our friendly and helpful customer service team is available to you 24/7. Prostate Brachytherapy treatment planning through Michael Sitter, RT(T) at Professional Dosimetry Services, with feedback from industry experts. Save valuable time. Get everything you need with one call. 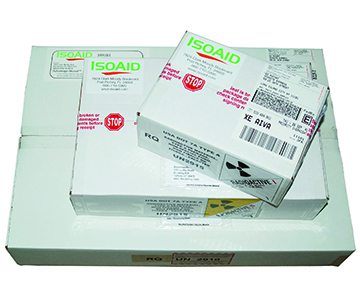 IsoAid receives considerable discounts on capital equipment, treatment planning software and Brachytherapy supplies. You can order ultrasounds, steppers, fiducial markers, grids and more through us. We pass our discounts on to you, saving you time and money so you can focus on saving lives. Our goal is to make your job easier, so if you need help with something you don't see listed here, please ask your sales representative.